ALBUQUERQUE, NM — After promising to do something special throughout the entire weekend, Christian Coleman finally sped to a new world indoor record of 6.34 to capture the men’s 60m on the final day of the U.S. Indoor Championships in Albuquerque on Sunday, Feb. 18. 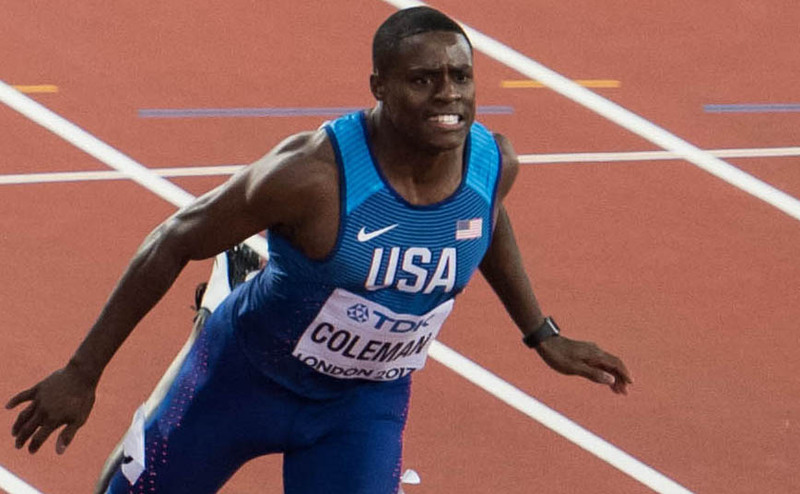 Coleman, the IAAF World 100m silver medallist from London 2017, had won his first round heat in 6.46 and his semi-final in 6.42 – easing down on both occasions – which led to several track and field pundits predicting that the world record would go. After regrouping from a false start, the 21-year-old went on to remove 0.05 off the 6.39 seconds previous world mark, set by fellow American Maurice Greene in Madrid in 1998, and equaled in Atlanta three years later. “I was just trying to come out with the win,” said Coleman. “My start was decent. Every time, I feel like I’ve got a lot of work to do (coming out of the blocks). “When I transitioned, I stood up, and I felt as good as I’ve ever felt. For it to be the world record was pretty special. “I just love this sport,” he went continued. “It’s so competitive, and either you’ve got it or you don’t on this day. I just love racing in the big races, when everybody’s watching. Coleman posted a time of 6.37 secs at a meeting in Clemson last month but the time was not approved because of technical reasons. Defending champion Ronnie Baker pushed Coleman during the early parts of the race before losing grounds as the five-time NCAA sprint champion pulled away before spreading his arms out wide as he crossed the finish line. Baker, who also looked comfortable in the early rounds, finished second in 6.40 and secured his place on Team USA for the IAAF World Indoor Championships in Birmingham, UK, next month. Michael Rodgers, a three-time national champion, was third in a seasonal best of 6.50.